In welcoming the Royal Commission, Jeremy King, Principal Lawyer with Robinson Gill lawyers, emphasised that Victorians deserve a police force they can trust. 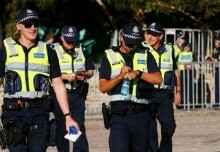 “The highest court of Australia has described the actions of Victoria Police as ‘reprehensible’. 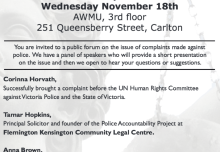 More than ever, Victoria needs strong police accountability mechanisms. This Government should not delay implementing the Parliamentary Committee’s recommendations to overhaul the police accountability system. 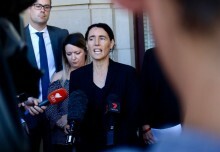 IBAC must be strengthened and properly resourced in order to prevent police misconduct of this scale from happening again,” said Jeremy King, Principal Lawyer of Robinson Gill. In September this year the Victorian Parliament published the joint parliamentary report from a two year inquiry into the investigation and oversight of police misconduct and corruption, which found serious problems with the existing internal investigative model. The report made 69 detailed recommendations to strengthen Victoria’s police accountability system and address systemic misconduct and cultural issues within Victoria Police. This included creating a Police Corruption & Misconduct Division within IBAC. Ruth Barson, a Director of Legal Advocacy at the Human Rights Law Centre, said that it is in the public interest to to have an independent investigative body so that police are not investigating police. 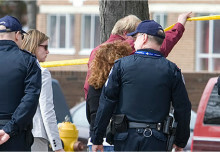 “This case touches the highest levels of Victoria Police. While this is an extreme case it’s not an isolated example of police misconduct. To ensure we have a police force we can trust and have confidence in, Premier Andrews must commit to a root and branch Royal Commission investigation, and to resourcing IBAC to independently and thoroughly investigate allegations of police misconduct,” said Ms Barson.